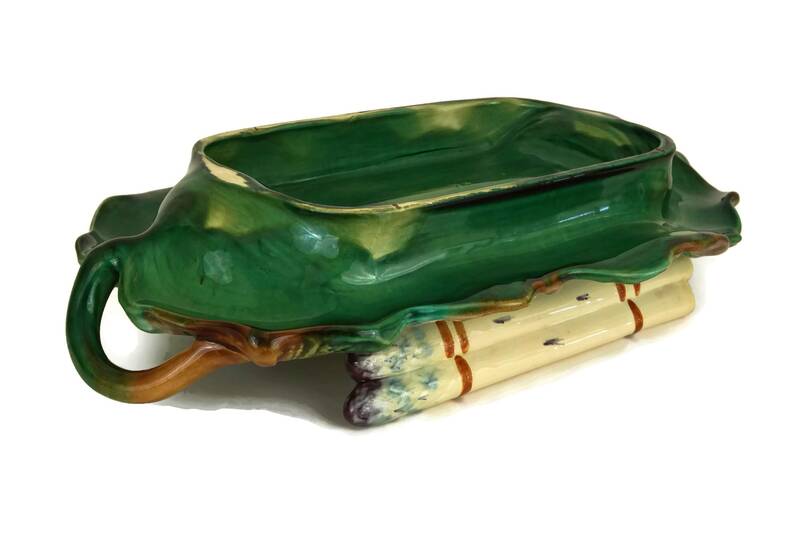 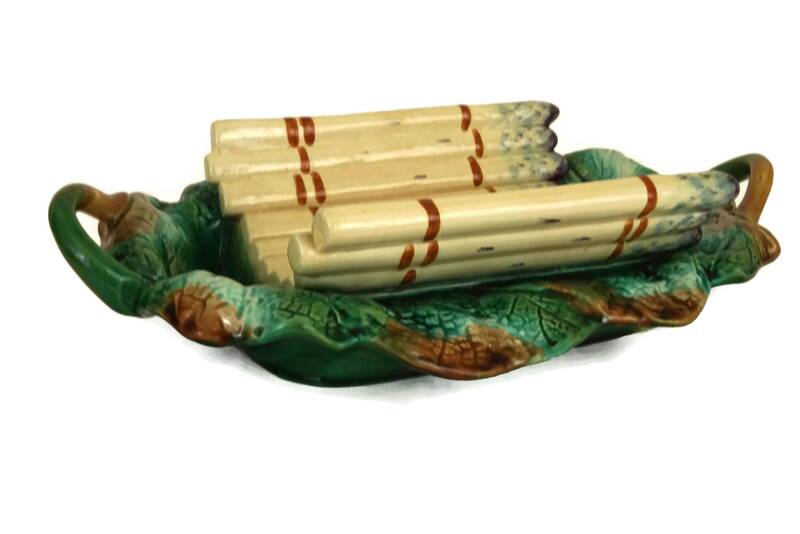 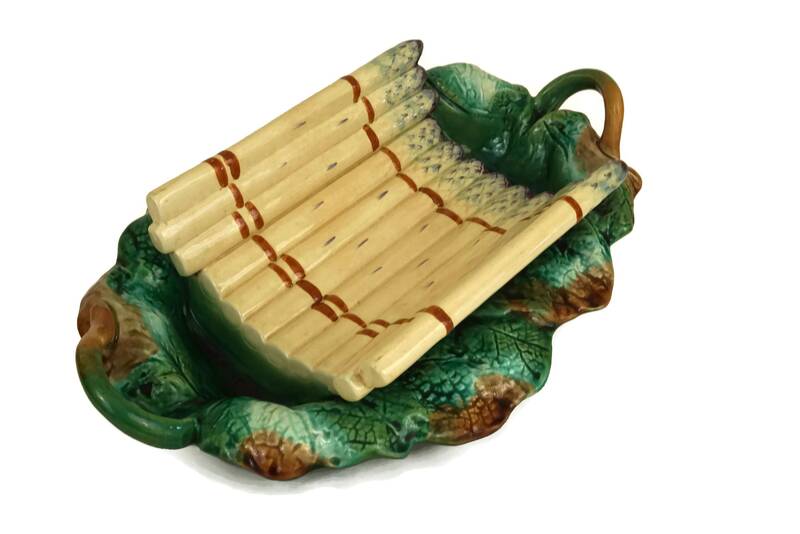 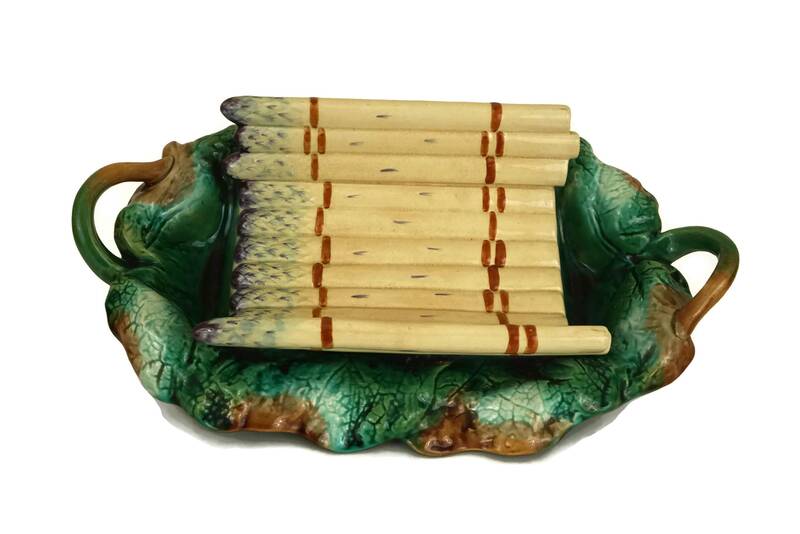 A beautifully antique French majolica asparagus platter and cradle from the early 1900's. 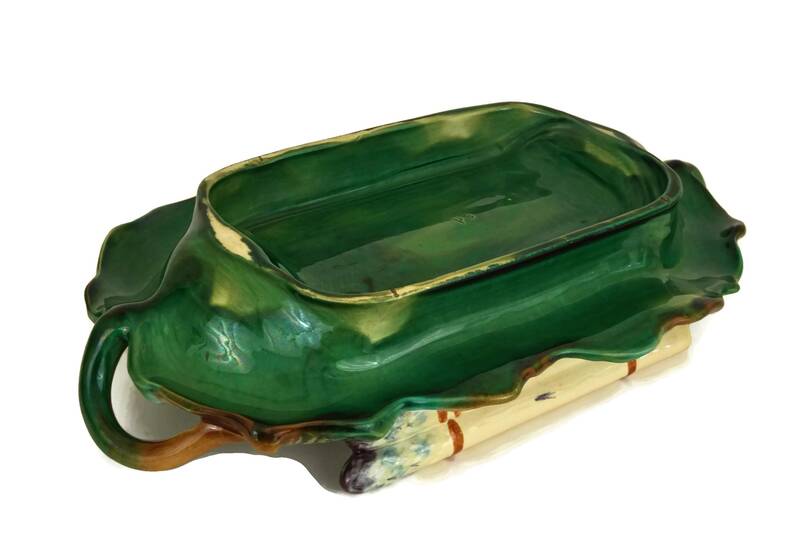 The ceramic server was created by the acclaimed Creil & Montereau company and has been hand decorated in rich jewel shades. 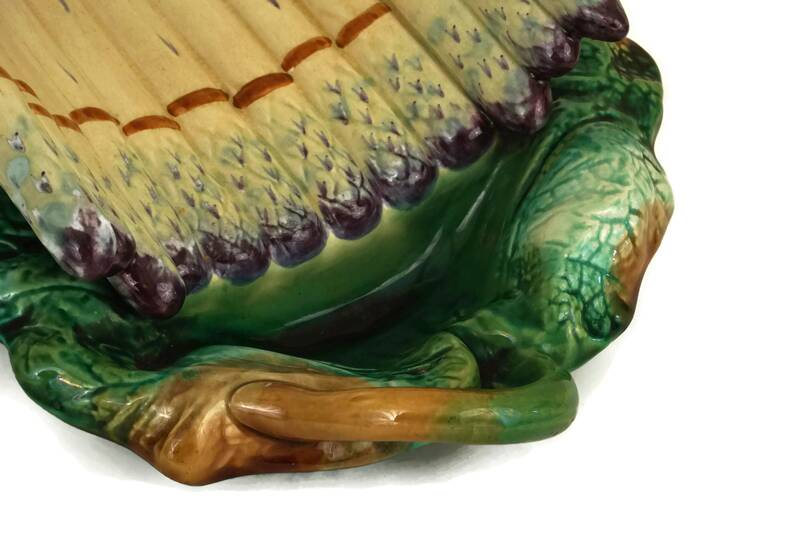 The two sections are joined and features a realistic raised relief design. 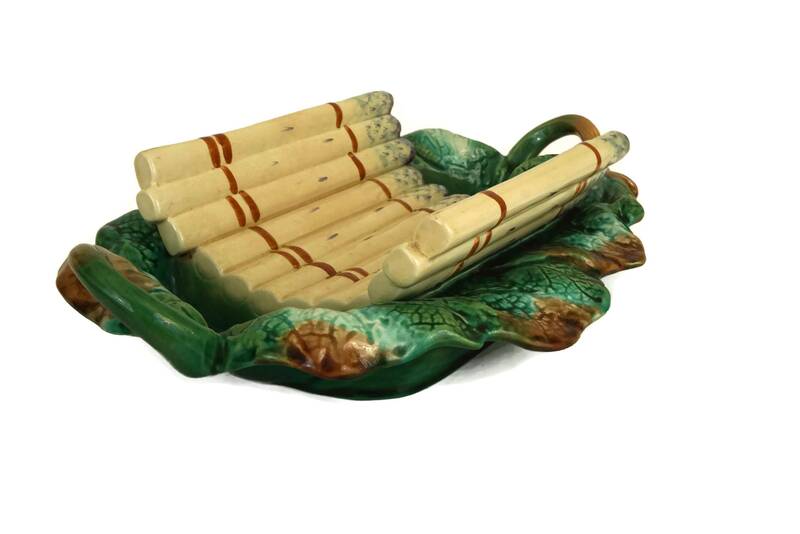 There are carrying handles on the sides with 2 wells for draining the freshly steamed asparagus spears. 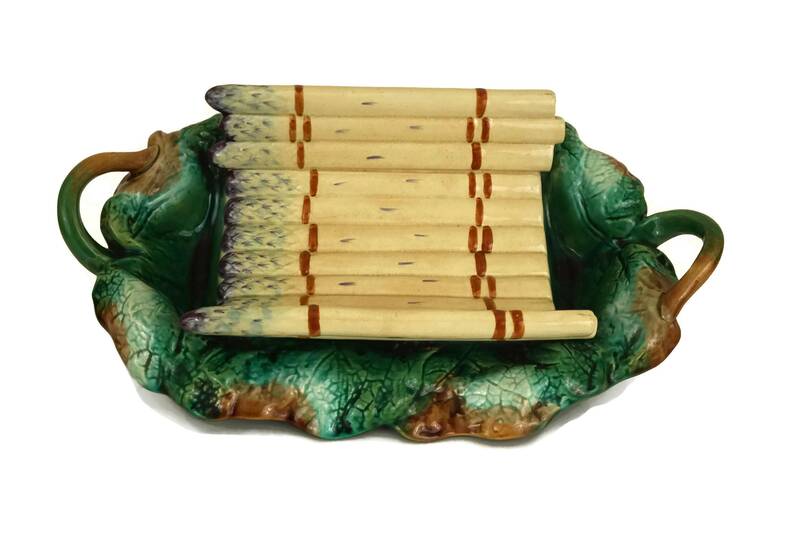 The underside of the majolica asparagus platter has been stamped with the manufacturer's pattern reference number. 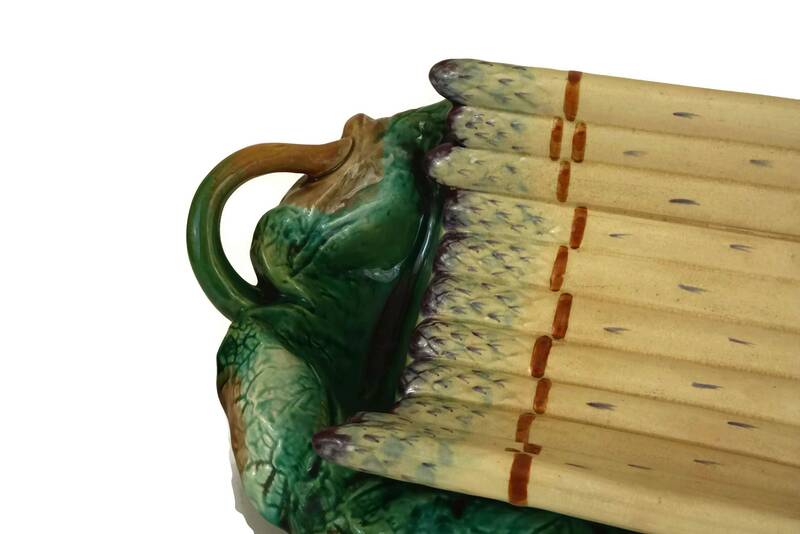 (38 cm x 25 cm x 10 cm). 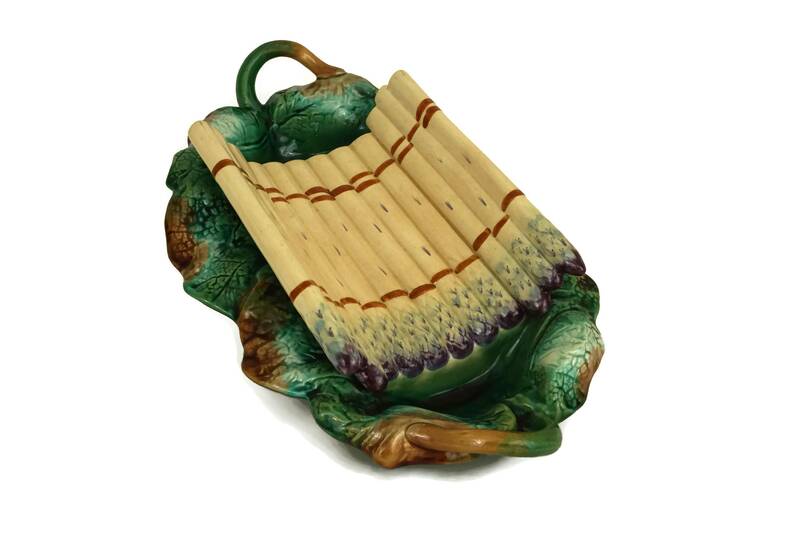 The asparagus cradle is in excellent antique condition with light wear.